Peppery, garlicky, and sweet, Santa Maria Rub is wonderful on any cut of beef. It's a seasoning recipe to make for delicious steaks and roasts. Combine all ingredients and store in an airtight container in a cool, dry cupboard. 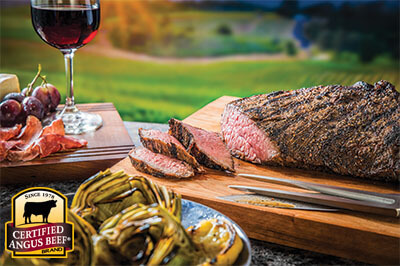 Evenly rub on your selected Certified Angus Beef ® brand cut, using about a tablespoon per pound. Cover tightly in plastic wrap or zipper-locking plastic bag. Refrigerate at least 2 hours, overnight for more intense flavor.